It was two winners in two days from two starters for Mornington-based trainer Tony Noonan after Raven’s Blaze proved too tough at Sandown in the Ladbrokes Multiverse Handicap over 1000m. The win provided the 4-year-old Captain Gerard mare a valuable metropolitan win, continuing the excellent family tradition for mares in the family raced by breeder-owner Joanne Spears. “Joanne (Spears), who is here today, bred the lot out of this family. I’ve had the good fortune to train a lot of them and they’ve all got that element of toughness about them,” said Noonan. “She gives them plenty of time as young horses and they’ve all got a bit of fire in them. Jumping well from barrier 6 in the field of 10, rider Jake Noonan was able to sit outside the leader off just a moderate tempo where his mount settled well in transit. Upon straightening, Raven’s Blaze ($12) ambled up to the lead comfortably finding the front, before giving a strong kick by the 200m mark. With others back in the field gradually making ground, Raven’s Blaze continued to find more and hold on to win by a half-neck on the line from a fast finishing Miss Vixen ($3.50F). “I was confident I had held on,” said Jake after the win. “To her credit, she was left a sitting duck a long way out especially with the good rise here at Sandown. 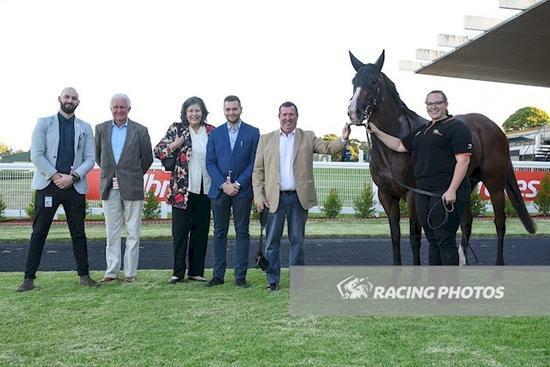 The win was Raven’s Blaze’s third from just 9 starts, taking her prize money beyond $60,000 for Spears who races the mare with friends and family, many of which also raced Raven’s Fires - another city-winning mare trained by Noonan.